As I am reporting the ILO’s first ever Youth Employment Forum at their headquarter in Geneva, Switzerland, the statistics released on youth unemployment is quite shocking. The reported titled “Global Employment Trends for Youth 2012” was released this week and it gives a very alarming picture that every youth should think and prepare about. The report provides a clear picture on the trend of youth unemployment from 1991 to 2012. The report says 12.7 percent of people aged 15 to 24 are unemployed. Last year 12.6 percent of young people were unemployed and in 2007 the rate of youths unemployed was recorded at 11.6 percent. Figures from North Africa shows that a whopping 27.9 percent of youths remained unemployed last year. 26.5 percent of youths were unemployed in the Middle East, 17.6 percent in central and South-Eastern Europe, 14.3 percent in Latin America and the Caribbean, 11.5 percent in Sub-Saharan Africa and 13.5 percent in south-east Asia and the Pacific. Another shocking information that the report predicts which is that the youth employment rate will remain at the same high level for the coming four years. ILO says, youth employment also poses a threat to political stability and social cohesion. To cope with the crisis ILO suggests that governments in the world should create more jobs. Not only more but better education and training is needed for the purpose. The report also suggest promotion of youth entrepreneurship, making youth employment a priority, promoting economic diversification, linking education and training to the world of work among others to foster youth employment. I am among the five young journalists selected from across the globe to cover the YE Forum. I am actually digging out stories from the youth participants of Asia and some unique stories. And trying to learn and share how every youth in the world could get decent work. If you want to take part in the discussion how could youth employment be improved you can take part on twitter using #YEF. Four-year-old Binu Dangol enters the room with her mother and father, dressed daintily in a blue t-shirt and trousers, her hair done neatly, but I can see that she’s scared. She leans away at the sight of me and my camera, ready to take flight, and I have very little idea of how to comfort her. It was an International Reportage Workshop with photojournalist Philip Blenkinsop, jointly organised by photo.circle, Pathshala South Asian Media Academy and Oslo and Akershus University College of Applied Sciences, that had triggered a desire within me to shed light upon stories that are yet untold. Among many such issues that exist within our country, it was the silent sufferers of autism—a lifelong neurodevelopmental disorder—that particularly caught my attention. And Binu is one of them. Can we expect apps from Nepali media in 2012? I was in an organizing committee of a workshop, “Social Media for Learning,” that took place in Kathmandu on December 24. Though the topic was “learning,” i was not surprised with the diversity of the topics discussed. As many of us, journalists in the program, we discussed about the way Nepali media are functioning. Some questions that came time and again were: Why aren’t Nepali media serious about their online site? Are Nepali media conscious about the media convergence happening across the globe? Kathmandu: A senior camera man called me “Nepali Kuire”, meaning Nepali foreigner. I was carrying a Canon 550 D camera while i was covering a special meeting of Prime Minister Baburam Bhattarai with deputy Prime Minister and home minister Bijay Kumar Gachhadar recently. For him i looked like a foreigner, with a camera hanging on my neck and holding a notebook and pen. 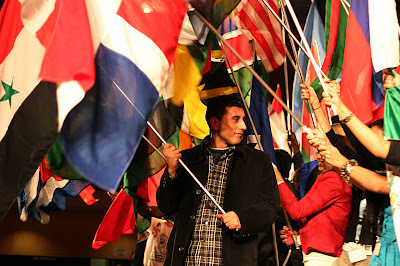 The presence of young, energetic and visionary youths from around the globe made the 7th UNESCO Youth Forum a unique platform. With the kind of passion and vigor shown by the youth at the Forum it seemed that everything is possible, the CHANGE is possible. I was very much interested to capture unique stories of everyone. But it wasn’t possible because of the time limit. 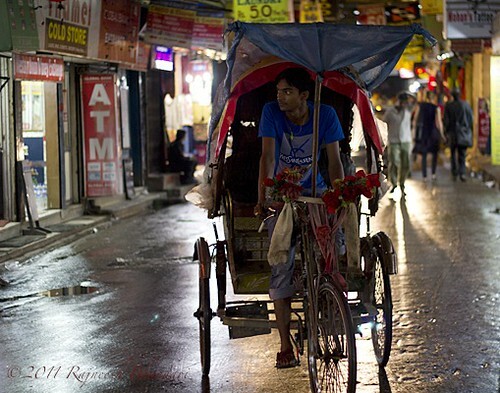 Hope: Internally displaced persons of Nepal from Rajneesh Bhandari on Vimeo. Kathmandu, Sept 16: One day in 1999, Kalyan Bhudathoki, 50, left his home in Ramechap that lies in the hilly and mountain region of Nepal and came to Kathmandu. Kalyan used to work as a farmer in his own field. 12 years earlier, in the insurgency-prone Ramechap, 150 km east of Kathmandu, Kalyan had two options: either to support the Maoists or flee the place. He chose the second option and has been struggling in the capital for his living ever since. 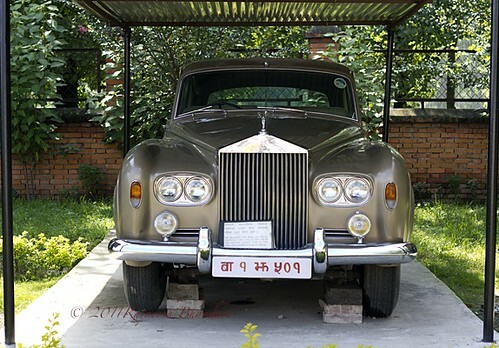 Nepal’s first Rolls Royce car. It was gifted by Queen Elizabeth during her visit to Nepal in 1961. It is kept at the Military Museum in Chauni, Kathmandu. 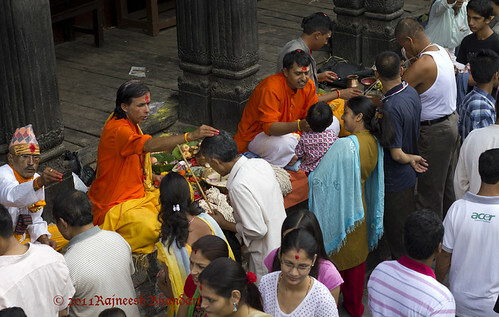 Kathmandu: Janai Purnima, the sacred thread festival of the Hindus, was observed on Tuesday. 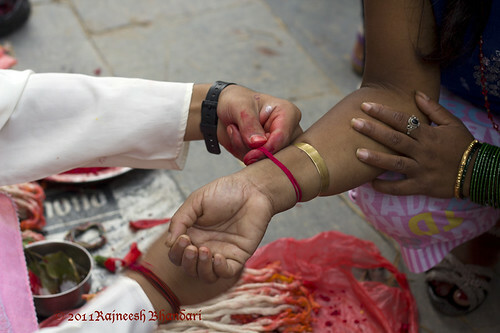 Brahmins and Chhetris (men) get a new sacred threads (janai) and others tie yellow-red threads around their wrists as a symbol of protection. This year i went to Pashupatinath Temple to find out how the festival was being celebrated. News story. News story. And another news story… This has actually been my routine these days. Working as a television journalist for the last six years in one of the leading televisions of Nepal, I have been largely dealing with different stories and characters. I have been doing up to four or five TV stories a day. These could be short to long format stories and also television packages.